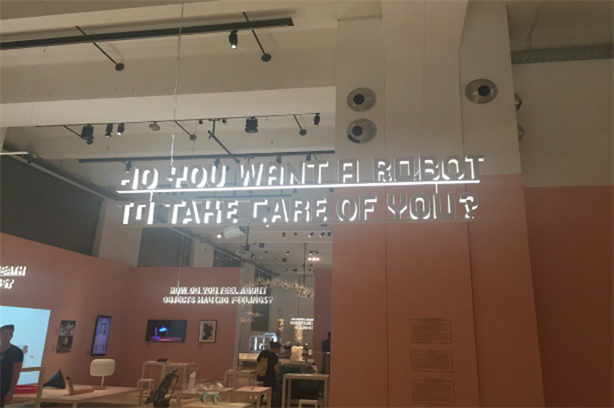 Jess Walsh, MD of health and wellness at Hill+Knowlton London and former patient advocate, thinks it’s time to take a breather from the shiny to consider how creativity can help increase compassion and public understanding as technology runs away with healthcare. The below is an excerpt of her talk on the same topic at H+K’s upcoming Creativity + New Reality conference in London on September 26. To register, please visit the event web page. Sometimes it’s practical. In the UK, starting next year, the National Health System will launch a smartphone app for medical advice, appointments, and prescriptions, and your ear will likely become the next body part to sport a wearable monitor. Campaigns such as Hello My Name Is in the UK, which urged health professionals to have conversations with the people they care for, are excellent, if not shiny, examples of how new thinking can improve care, often at very low cost. Graphic design and architecture are considering the personal experience of care to greater degrees than ever before. Hackathons have proven so valuable to healthcare that we are now looking to quantify their impact. The conversation that recognises the contributions of creativity not only to technology, but also to compassionate care must become louder.